Birds of prey (sometimes called raptors) are flesh-eating predators. 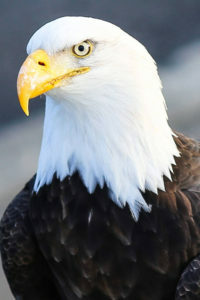 Most have talons, sharp beaks and good eyesight. 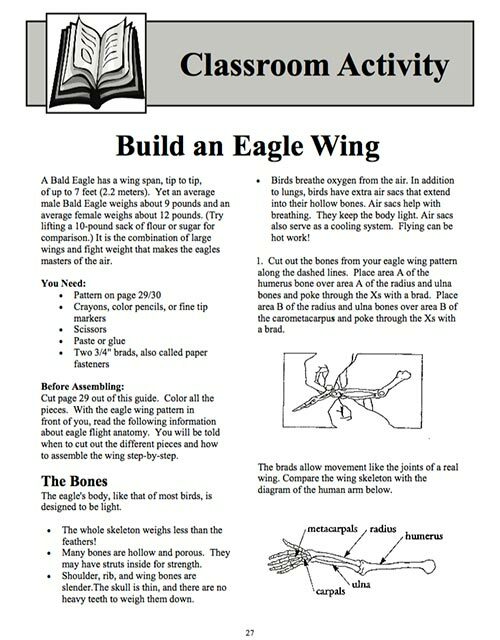 Bald eagles (Haliaeetus leucocephalus) are large raptors. 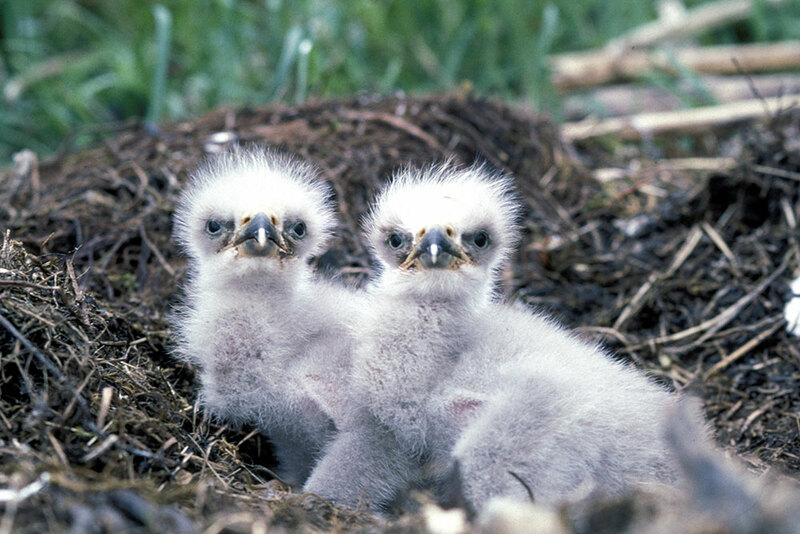 They aren’t really bald, but their white-feathered head might appear that way from a distance. 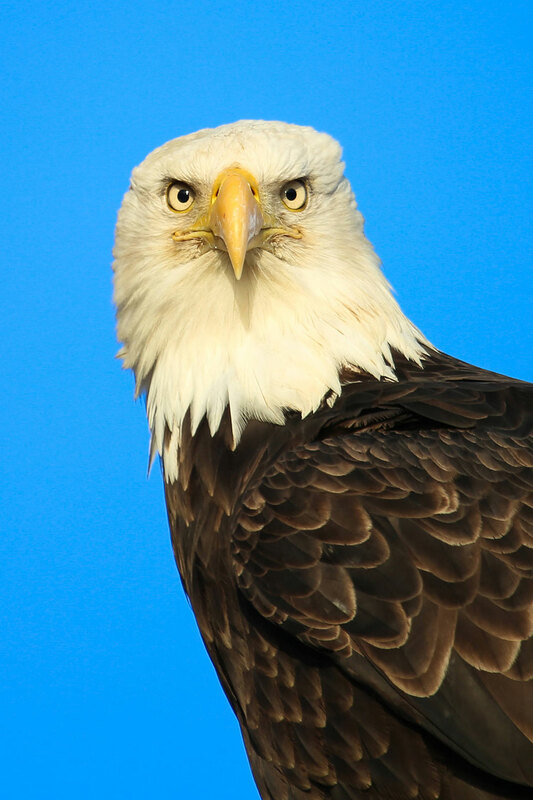 The bald eagle has been our national emblem since 1782. It is also a spiritual symbol for many Native Americans. They can have a wingspan of 8 feet and weigh as much as 14 pounds. 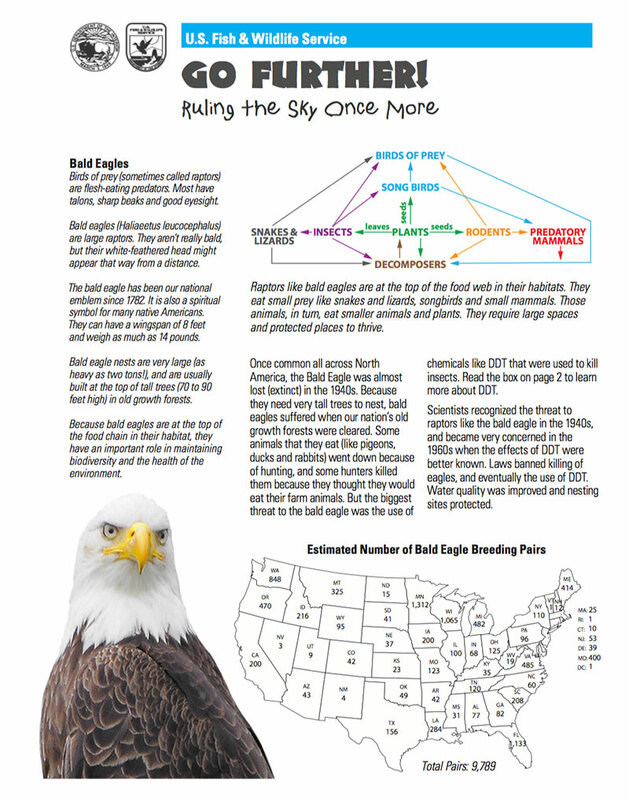 Bald eagle nests are very large (as heavy as two tons! ), and are usually built at the top of tall trees (70 to 90 feet high) in old growth forests. 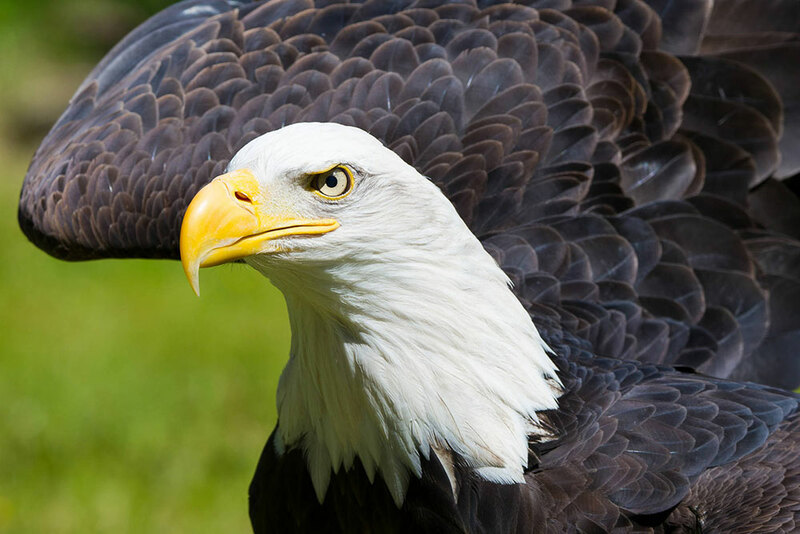 Because bald eagles are at the top of the food chain in their habitat, they have an important role in maintaining biodiversity and the health of the environment. Please visit the National Conservation Training Center Eagle Cam during their nesting season between January and May to see Live Bald Eagles in Action!